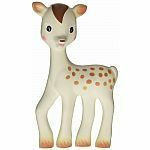 The little giraffe was born on 25th May in the year 1961...Saint Sophie's day! 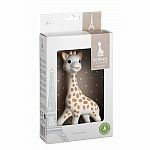 That is why one day in France, a certain Monsieur RAMPEAU, who was an expert in transforming sap from the HEVEA tree using the rotational moulding of rubber as a toy-making concept, came up with the idea of designing a giraffe. 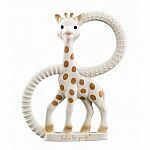 Such an exotic wildlife figure would be a first on the market, and its size and shape would be ideal for a baby's small hands to grasp. 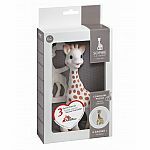 Sophie the Giraffe, who looked exactly the same then as she does today, went into production on a Thursday 25th May, whence her name. She was an immediate success. Young mothers straightaway saw that she was a must for their children... 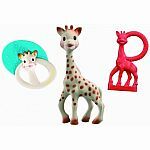 When the first signs of teething appear, Sophie the Giraffe helps baby stop crying! By simple word of mouth, the little giraffe's fame spread. 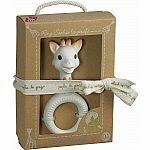 From then on in Europe, generations upon generation of children were to love hearing Sophie squeak whenever they pressed her tummy or head! 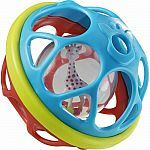 VULLI, a company based in Rumilly in the Haute-Savoie region of France has continued to keep the jealously guarded secret of how this wonder toy is made. 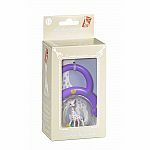 SOPHIE is still "traditionally" produced to this day, a process that involves more than 14 manual operations. She is made from 100% natural rubber derived from the sap of the Hevea tree. Latex from the rubber tree (HEVEA) was first processed in 1928 using the vulcanization invented by Mr Charles Goodyear. The rubber used by Vulli comes from the HEVEA trees (rubber trees) that grow in Malaysia. Every morning, before the daytime heat sets in, the milky liquid that oozes from the cells beneath the bark is collected from these millions of HEVEA trees. This liquid is known as "latex". Latex is natural, elastic and water-resistant, acts as an insulator, is pleasant to the touch and smells nice. Vulli takes this latex, heats it, and then applies a special process and rotational moulding technique. The result after 14 manual operations is the wonderful little "Sophie the Giraffe". Why is Sophie such a huge success? At the age of 3 months, a baby's eyesight is still limited and he can only make out high contrasts. 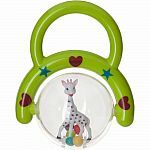 The dark and contrasting attention-catching spots all over Sophie the Giraffe's body provide visual stimulation and she soon becomes a familiar and reassuring object for baby. 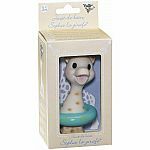 Sophie the Giraffe's squeaker keeps baby amused and stimulates his hearing. 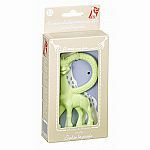 To begin with, the funny sound Sophie makes when she is squeezed helps to stimulate baby's hearing, and then later, helps him to understand the link between cause and effect..
Sophie the Giraffe is made of 100% natural rubber and food paint, and is completely safe to chew, just like a feeding bottle teat. 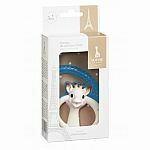 Her soft texture and numerous chewable parts (ears, horns, legs), make her perfect for soothing baby's sore gums during teething. Touch is the first means a baby has of communicating with the outside world. 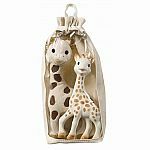 Sophie the Giraffe's soft feel, like baby's mother's skin, stimulates physiological and emotional responses that soothe baby and promote healthy growth and well-being. 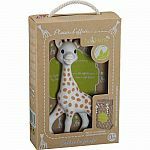 Sophie the Giraffe's shape and 18cm size are perfect for baby's small hands. She is very light, and her long legs and neck are easy for baby to grip, even from his earliest days. 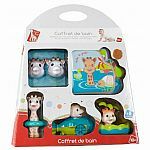 The archetypal embodiment of the early learning toy, Sophie the Giraffe is a must-have who enjoys widespread popularity and is genuinely loved by every parent and child.